Retaining walls are fantastic features for any homeowner who wants to design a lawn that features amazing architecture and functions that make your yard spectacular to all viewers. 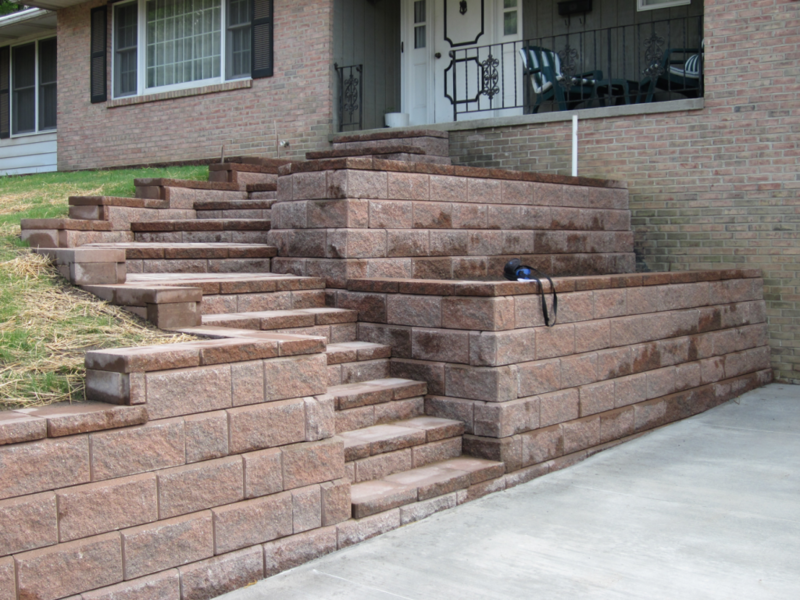 When you are looking for new yard features, like retaining walls, in North Canton, Ohio, we would recommend that you contact ourselves at BHW Landscaping. There are a couple of reasons for this, but one of the biggest things you will need to consider when purchasing any new lawn feature, like a fountain or retaining wall is where it will fit in the space you have available for it? Retaining walls are used to help keep your gardens and plants from slipping off slopes and that is something that homes in North Canton, Ohio have to contend with. Additionally, retaining walls are great ways to segment your lawn and create levels that make it more aesthetically appealing. You can use retaining walls as decorative features or as practical ways to keep your flowers and plants from uprooting and sliding all over the place. BHW Landscaping will be happy to give you an in depth consultation that can help you determine what features will make your lawn flow the way you expect it too and give you the curb appeal that makes your home desirable.